Check out Dallas-Uptown's event calendar! Click here. District 5810 Governor Bill Slicker visited Dallas-Uptown today. 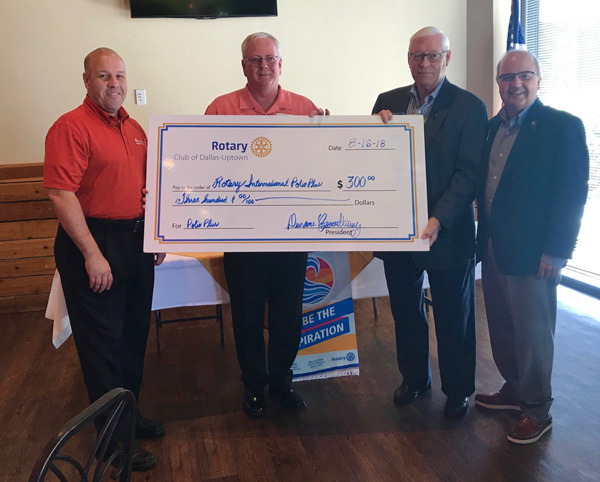 In honor of his visit, Uptowners donated $300 to the Rotary International Polio Plus fund. For more information on Rotary's Polio Plus fund, go here.